Carriage doors when money is tight? When my wife and I were young and out of college we moved to the big city to live the dream as actors. 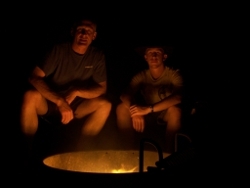 We landed jobs in a touring company and started getting paid real money to pretend. A very small amount of real money. Before two years were up, we started thinking this is great, but it would be even better if we were a family. We were paid to act, not to think. Sure enough, the little people started coming along. They didn’t come with endowments or allowances from the great dispensary in the sky. But we had our imaginations, and some skill with a few key props. Cheap entertainment builds imaginative kids. Bubble wands, costumes, and nature form a fantastic playground for the young. Eventually we trickled out of the theater and into real jobs, and our kids began to matriculate up into card-carrying musicians, athletes, and video gamers. Suddenly one day we woke up to the realization that whenever our kids got together with friends it was somewhere else. They played at Dana’s house, where the Nintendo was. They had the overnighter at Crystal’s house, in the room with the big screen TV. They skate-boarded and played basketball at Jake’s house, where the sport court was. It seemed like an impossible time to invest in expensive upgrades to our home. A recession was on. We were thrifty and responsible, if not great planners. But our kids were growing, and going away, away, away. We knew our time with them would soon be up. So my wife and I started a major overhaul of our place that I called Landscape Armageddon. I rented a bobcat (Do it some day, guys!). We leveled dirt, built a patio and fire pit, installed a trampoline, and started work on a sport court. 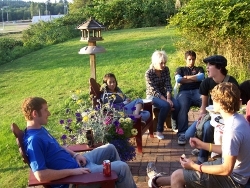 We were rewarded with many nights of teens sitting around the fire, talking until early morning, guests enjoying corn on the cob and s’mores on sunny Saturdays, and bocce ball until dark. The experiences and memories paid us back many times over. Then came another fork in the road. I lost my livelihood. Our youngest son developed a passion for drums and song recording. With my wife teaching piano lessons, there was room in the house for neither the noise of drums nor the quiet of recording. We made like Yogi Berra and took the fork in the road. Again. 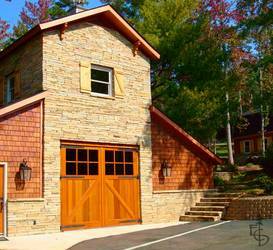 We refinanced the house and built a garage with carriage doors and a big bonus room upstairs. 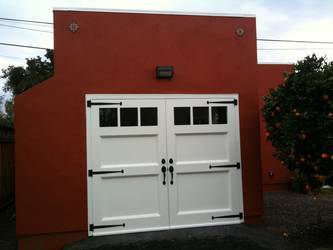 The garage became my workshop, where I started a new business. The bonus room housed my son’s drums, sound studio, and X-Box. I’ll never regret the investment. The point of this rambling tale is that you can’t put off the passage of your kids from bubble-chasing little buddies to burgeoning adults who will too-soon head off on their own quests. Investing in space for gathering, pursuing a passion, or building memories is a now thing. Recession-be-damned. 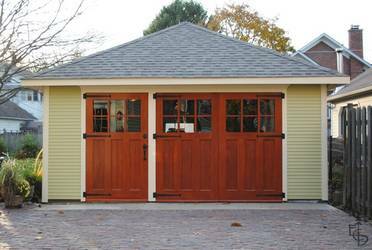 The garage is a great place to look for that gathering space. It doesn’t require selling the house in a down market or excavating for a home addition. Some doors and interior dressing can turn unused space into Where Life Happens. You won’t be sorry if you make it happen before those young adults go away.